Note: This is Part 2 in a series about meeting the challenges of increased enrollment and too little school capacity. Read Part 1 here. This week the School Board will vote on the 2018-2027 Capital Improvement Plan (CIP) budget that has been proposed by the superintendent. 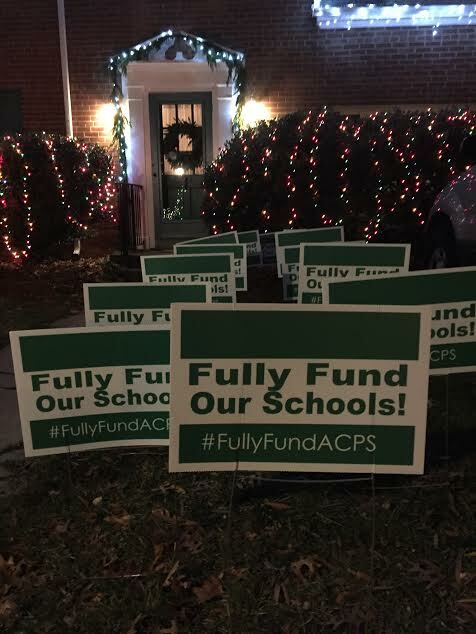 Assuming that it will be approved with just a few tweaks to Dr. Crawley’s proposal, ACPS will be asking City Council to fund about $436 million in school modernization and capacity-related projects as well as another $80 million of non-capacity-related repairs and improvements. Overcrowding at our elementary schools is common knowledge in our city but the worsening capacity issues at the T.C. Williams main and Minnie Howard campuses are lesser known. Earlier this spring, the T.C. Instructional Leadership Team presented a proposal to the school board to tear down the existing Minnie Howard facility and build a new multi-story school on the 13-acre site. Dr. Crawley took note and included a Minnie Howard rebuild in his most recent proposed CIP budget (estimated cost: $118 million). Beth Coast, co-chair of the Instructional Leadership Team’s capacity committee, chair of the T.C. art department and parent of twin 7th-graders at George Washington Middle School, recently gave compelling testimony to the School Board in support of the superintendent’s recommendation to rebuild the Minnie Howard structure to accommodate more students. Lunch shifts are overcrowded. Students spend so much time in line that there’s little time left to eat lunch. Students eat in stairwells and classrooms. Students are shut out of certain electives because they are too full. There aren’t enough labs, teachers or classrooms to add more sections. Fire drills show that evacutating the building is a dangerously slow process. Students are backed up in the stairwells waiting to exit the building. More generally, hallway crowding frays everyone’s nerves. When additional space is needed for testing large numbers of students, the auxiliary gym and library are closed for many days, and other academic activities are disrupted. There are too few security personnel for a school of that size. In her committee’s testimony, Beth importantly urged the school board to not only approve the rebuild but also to accelerate the construction schedule. Under the proposed plan, the new building would not open until 2024, when the main campus enrollment will be nearly 4,000 students, compared to a bit under 3,000 currently. Parents who are looking ahead to high school need to follow Beth’s cue: Let the Mayor and City Council members know that not only are the CIP funds imperative to serve future cohorts of Titans, but also that the clock is ticking. Six years, during which T.C. becomes progressively and significantly more crowded, is too long to wait. Beth also stressed the need for administrators, teachers and students to work expeditiously on educational specifications at an expanded Minnie Howard site, as well as an alternative location for students who find the large, bustling environment at T.C. to be overwhelming. I would add one more priority to the list. With Dr. Dingle’s departure at the end of the school year, the T.C. principal search committee should carefully consider what qualities are necessary for the leader of an academic campus that, enrollment-wise, is larger than most small colleges. Perhaps someone with community college or small college experience, who is given the resources to hire an appropriate number of administrators given the enrollment, would be best-suited to lead what is currently the largest high school in the state of Virginia—and destined to become considerably larger.